Imagine a future when you don’t need to carry cash or a wallet. Instead, you can pay for food, groceries, or services using your phone – or a code. Digital currency, or ‘cryptocurrency’, makes this possible. You’ve probably already heard about it. 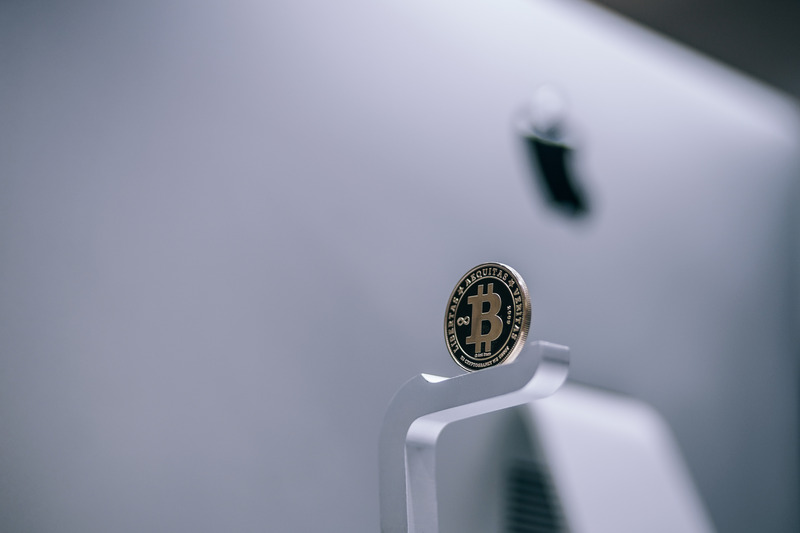 Names like Bitcoin, Ethereum, and Ripple, have been making headlines in recent years due to both positive and negative news. Bitcoin is perhaps the most popular of all kinds of cryptocurrency. 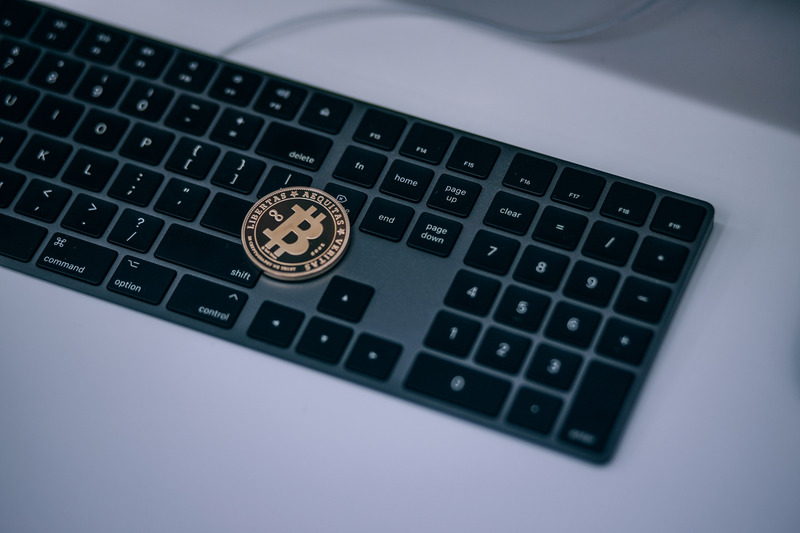 Since its inception in 2008 by a still unknown entity known only as Satoshi Nakamoto, people have had plenty of questions about this emerging tech. But the interesting bit isn’t the cryptocurrency itself. Rather, it’s the technology – called blockchain – behind it that opens up a lot of doors. 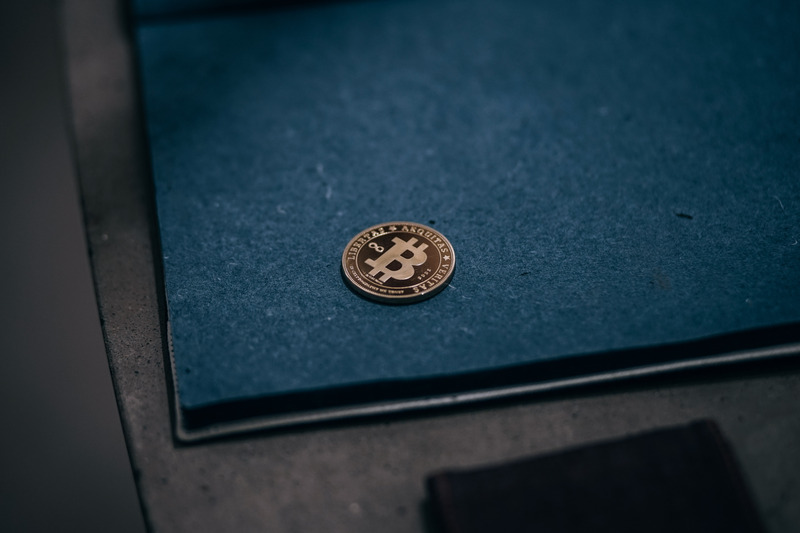 If you’re interested in digital currency or simply love the idea of it, then you will love these cryptocurrency photos. Use them for your personal or commercial projects. They’re perfect for those with blogs or websites related to tech, finance, or money management. 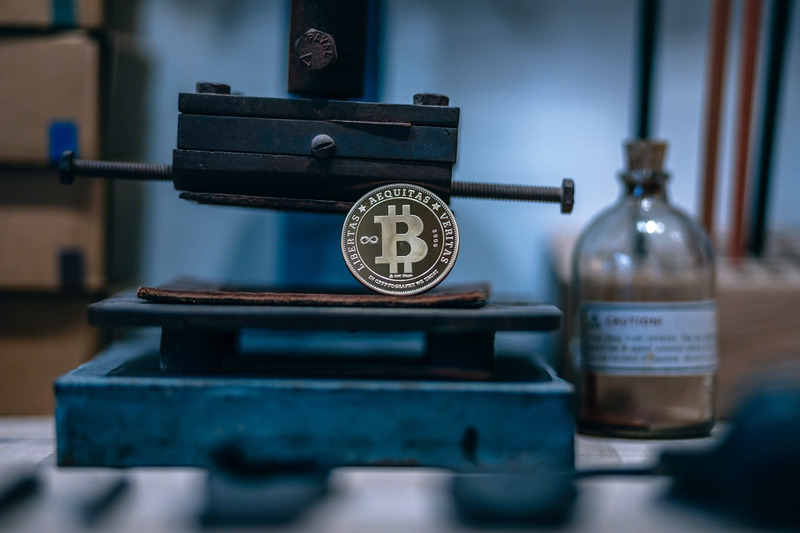 A shiny gold-plated bitcoin carved with precision placed on a rusty machine inside a shop. Blur background where a glass bottle is placed along with other inventory. Physical bitcoin shinning in indoor light. 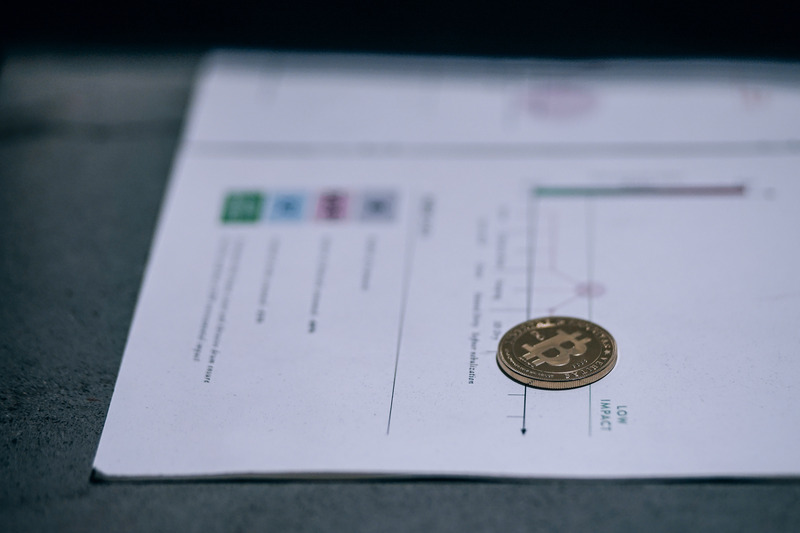 A high-resolution photo of a physical bitcoin. Physical golden Bitcoin placed on top of an Apple keyboard. Bitcoin covering ‘Enter’ and ‘Delete’ buttons. Shiny gold-plated bitcoin. Concept for Apple products accepting payments in Bitcoins. 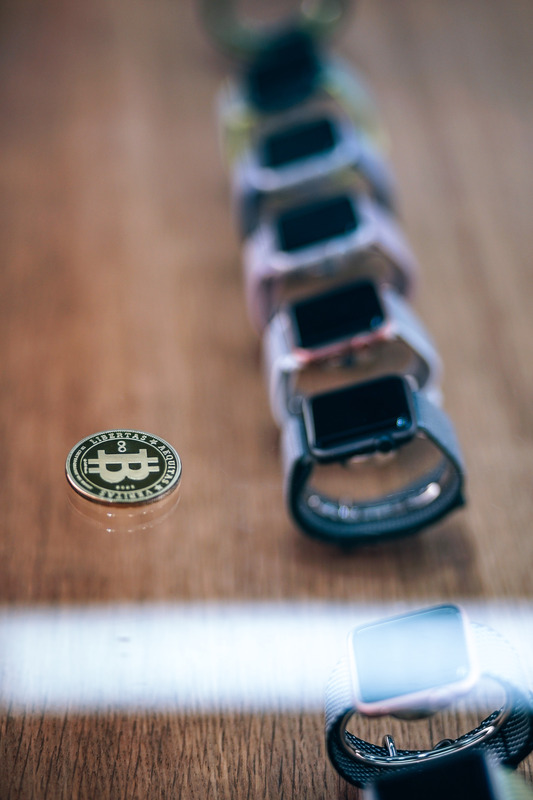 Bitcoin placed on top of glass shelf where iWatches are placed on display for sale in an Apple Store. iWatches placed on wooden texture. Light reflecting glass shelf and making the coin shine. 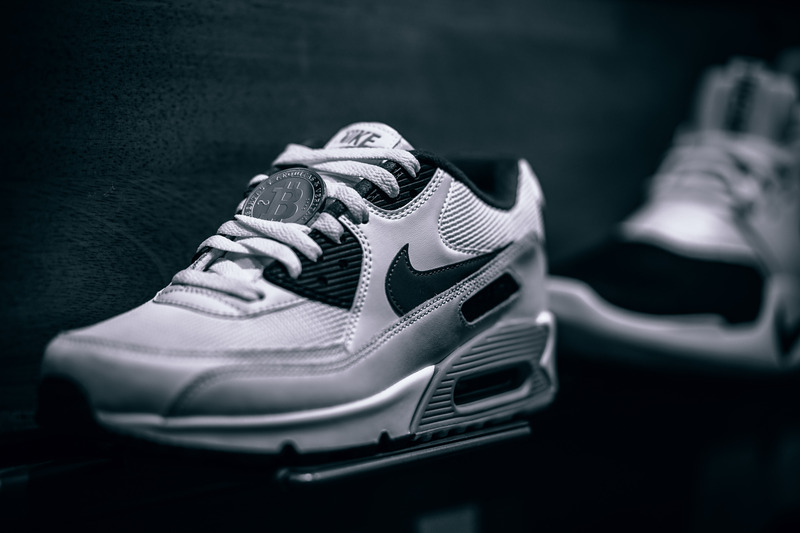 Bitcoin, silver-plated physical cryptocurrency placed inside a fresh sneaker pair placed on shop shelf display for sale in a store. Clear black background making appearance beautiful. Physical gold-plated Bitcoin. Cryptocurrency Bitcoin, BTC, BitCoin. Physical golden Bitcoin coin on a white chart report. Blockchain technology, bitcoin mining concept. 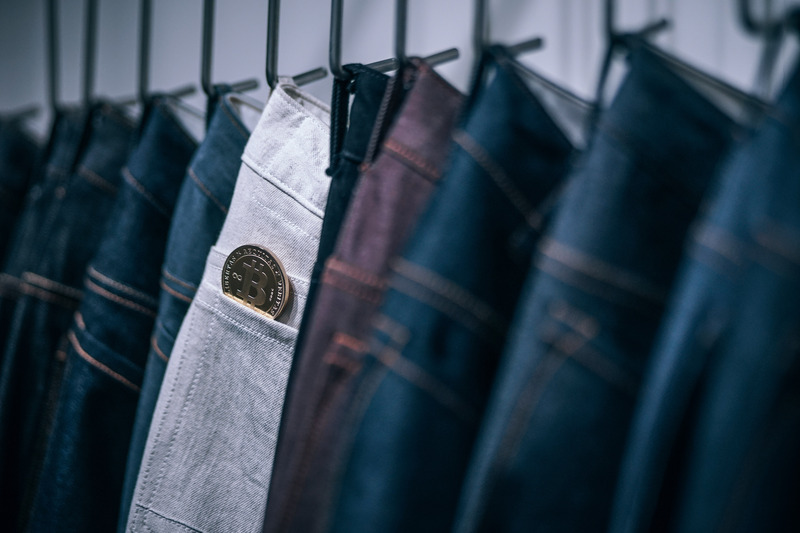 Physical Gold-Plated Bitcoin placed half inside of a jeans pocket of hanging white jeans. 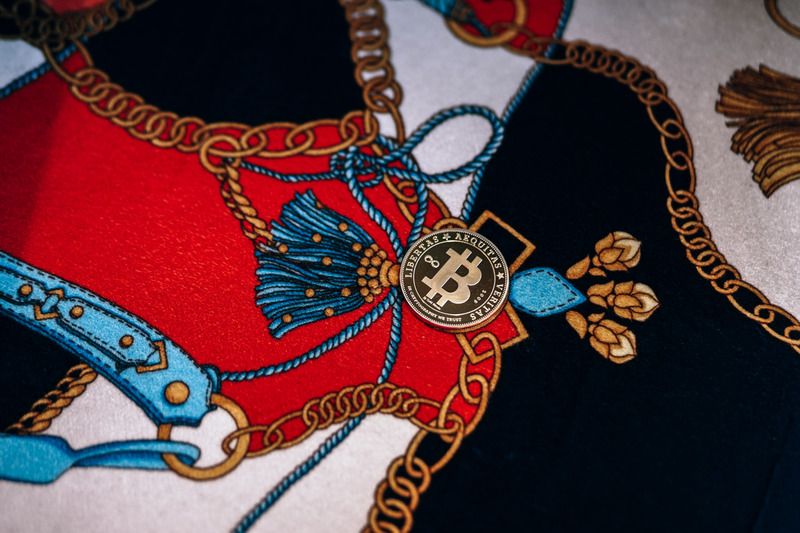 Bitcoin fashion e-commerce. Different color jeans are hanging inside a store on hooks. Lighting makes the Bitcoin shine more. 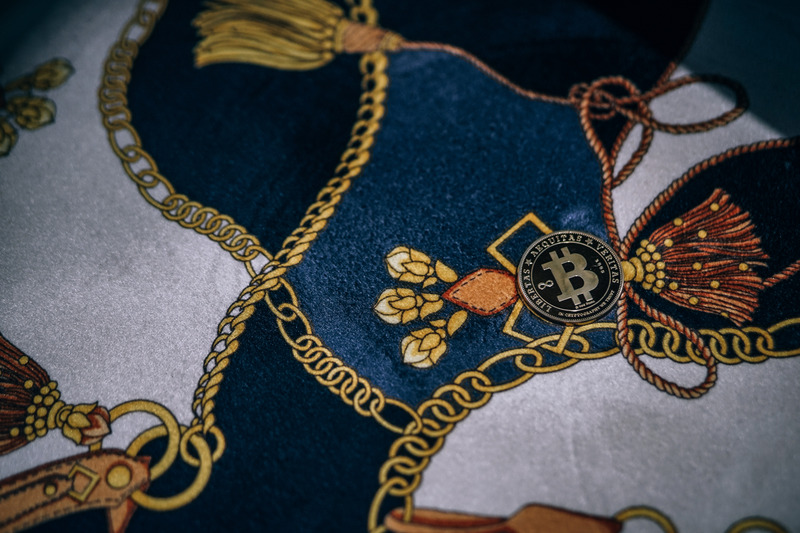 Gold-Plated Physical Bitcoin placed on a fabric piece with a gold chain background art. Shiny Gold-plated physical bitcoin on a golden artwork. 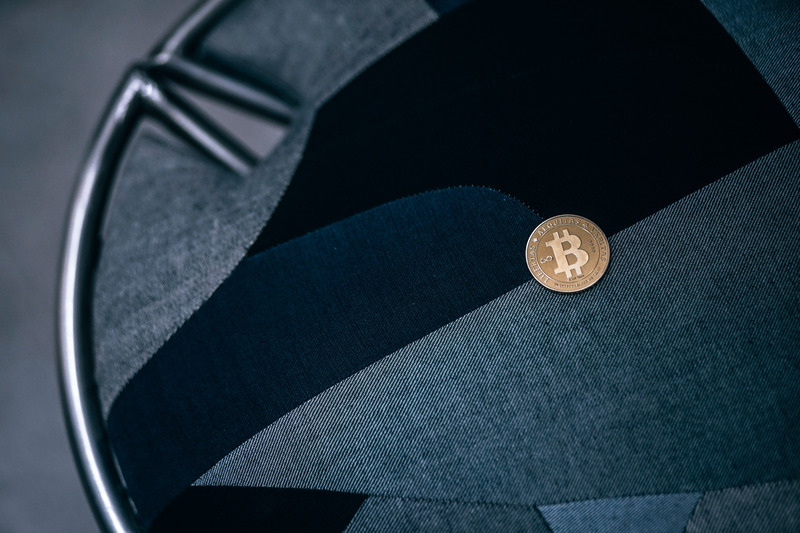 Golden physical Bitcoin coin placed on an abstract black and grey pattern of a chair seating. Aluminum steel chair with black and grey cloth seat, high angle view. 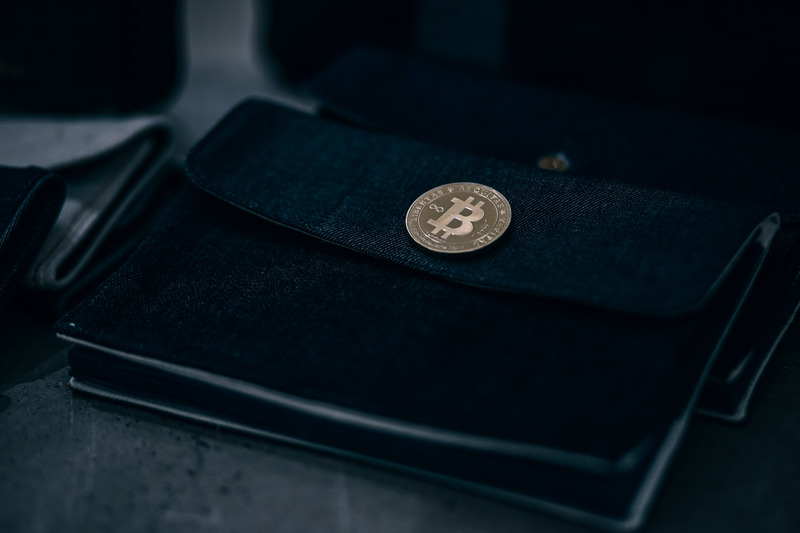 An elegant designer black wallet has a golden physical bitcoin placed on it. Wallet placed on a store shelf on display for sale. Gold-plated Bitcoin shines by store lighting. Gold-plated physical cryptocurrencies shining inside a bookstore. 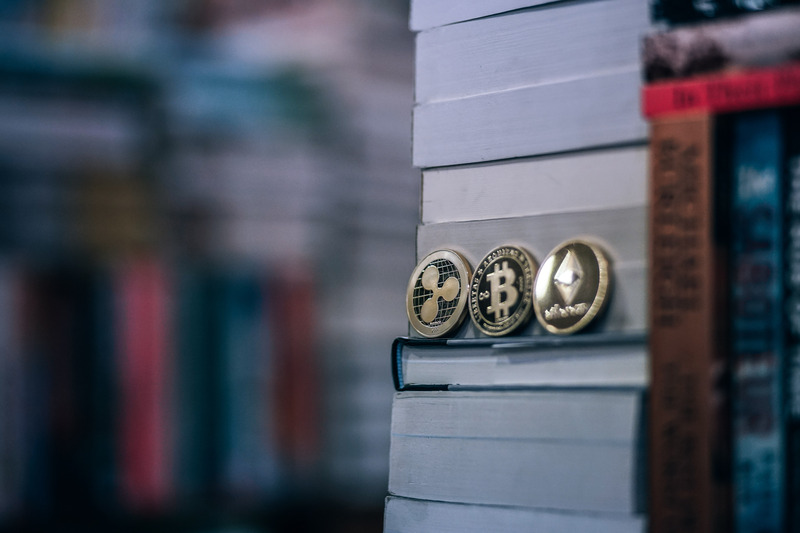 Bitcoin, Ethereum, Ripple accepted to buy books for school. 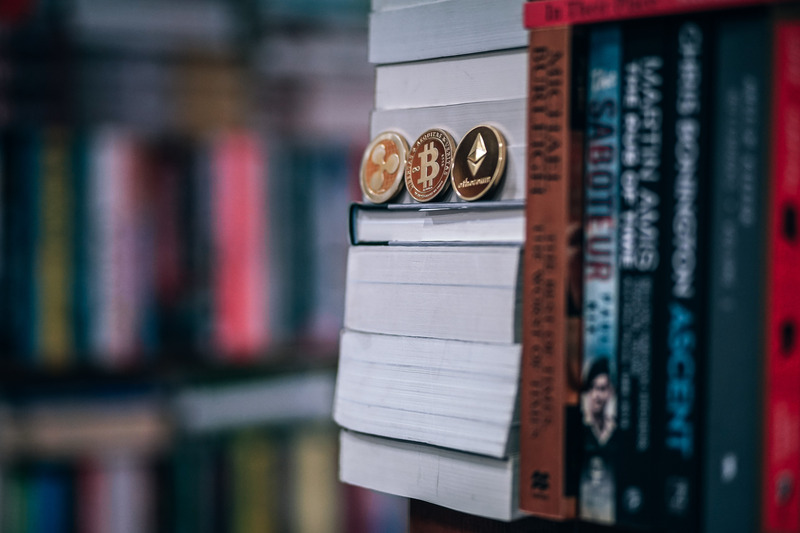 Physical Gold-Plated Cryptocurrencies coins are placed on the books. Books placed on the bookshelf of a bookstore. Coins are shining in a bright light. Clear book titles are visible. Closeup view. Physical gold-plated Bitcoin placed on a sculpture shelf in a library (has blur background). 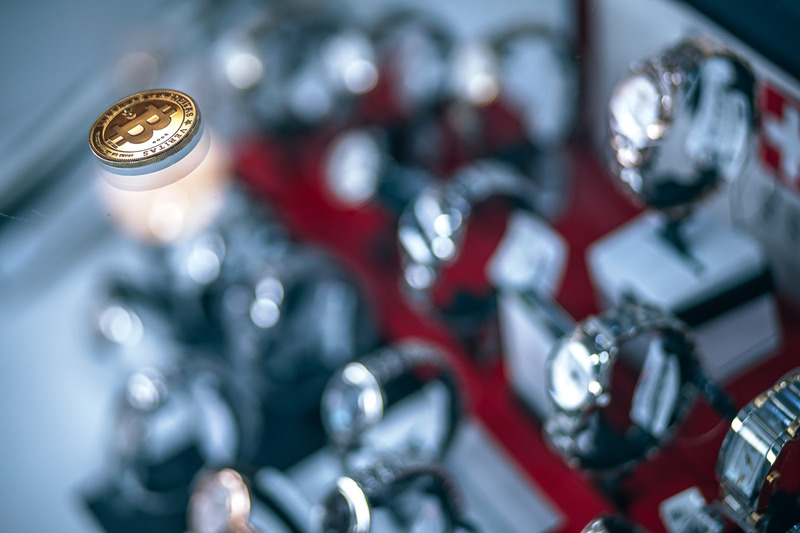 Physical Bitcoin placed on the glass shelf where different luxury watches are on display for sale. Concept for luxury watch stores accepting Bitcoins. 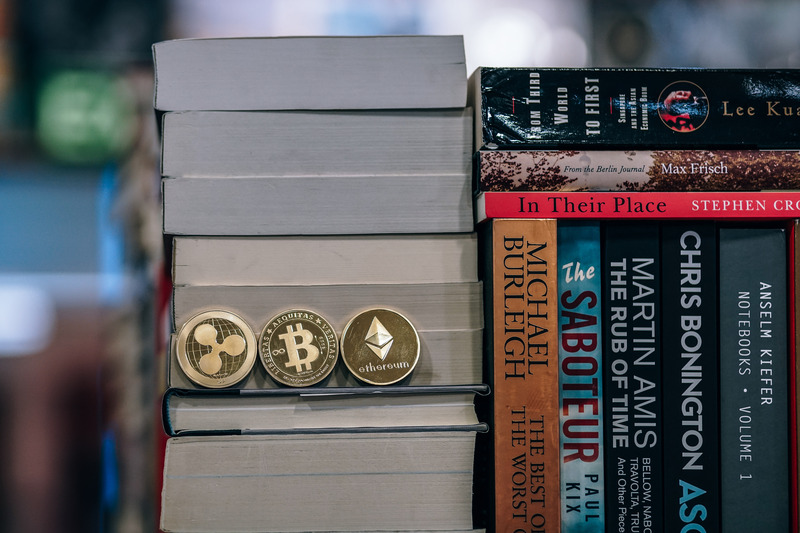 Ripple, Bitcoin and Ethereum banking cryptocurrencies placed beside books on a bookshelf of a Bookstore. 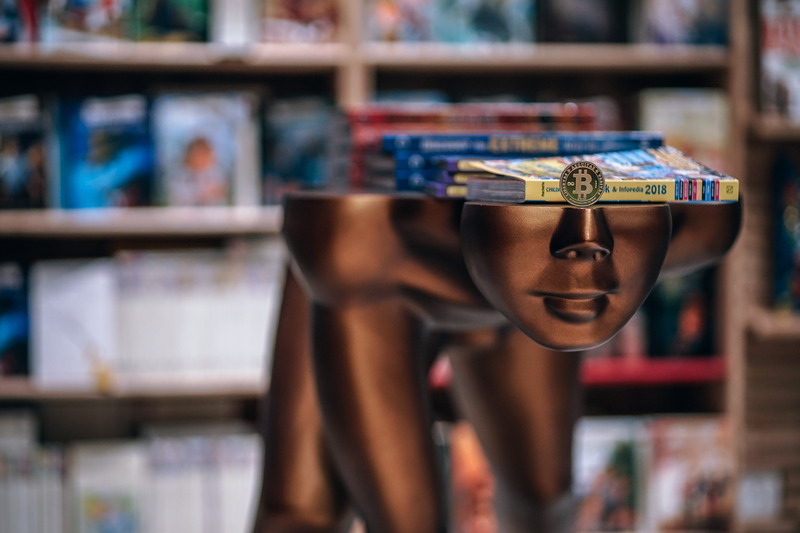 Bookstore accepting payments in cryptocurrencies. 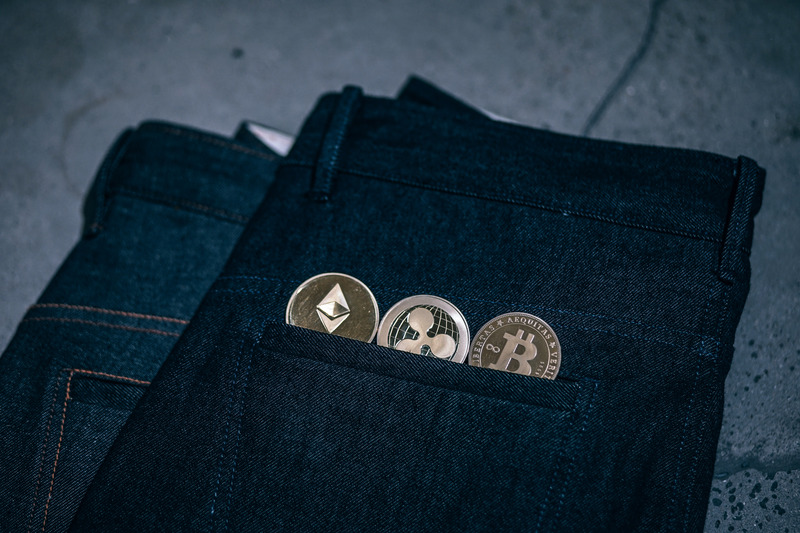 Three top cryptocurrencies Bitcoin, Ethereum, and Ripple placed half inside of a jeans pocket. Illustration for accepting cryptocurrencies as payment options. Golden physical Bitcoin placed on an art background, illustration for bitcoins accepting as a payment option. Gold-Plated physical cryptocurrency. 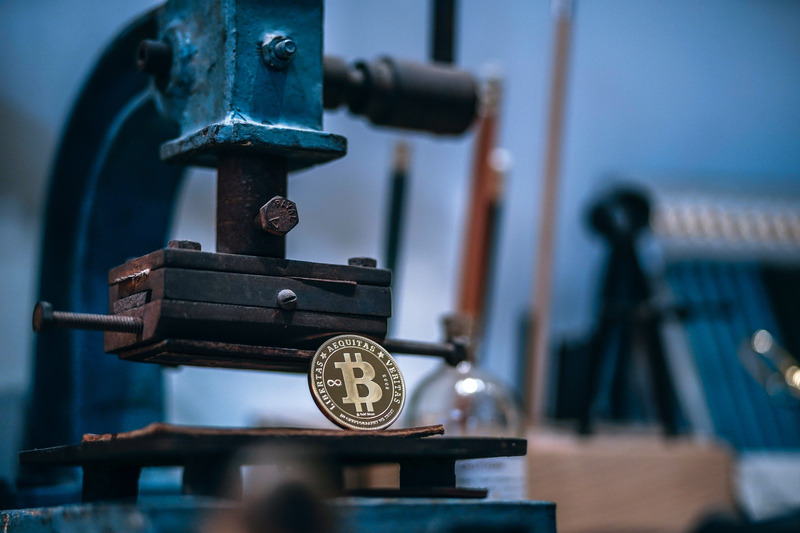 Physical Gold-Plated Bitcoin cryptocurrency placed on a craftsman molding machine. Blur background with other pieces of equipment, a glass bottle and pencils. Golden bitcoin placed with mini holy sculptures. 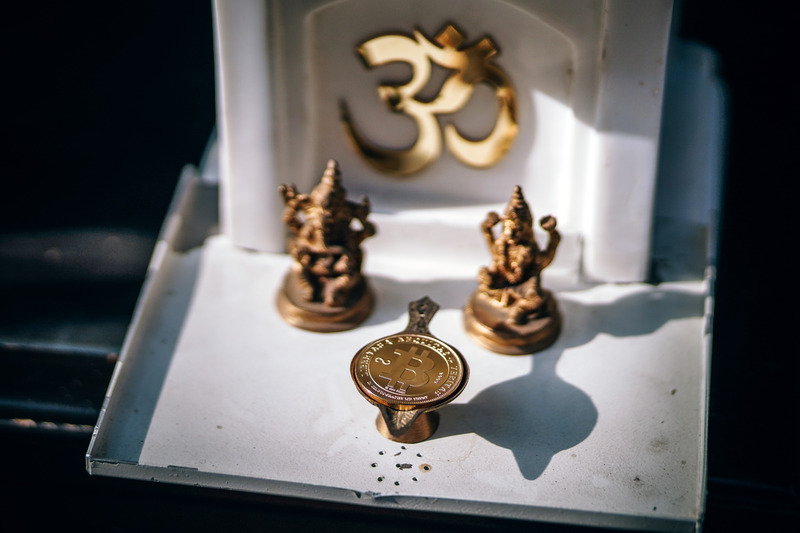 Gold-plated physical cryptocurrency bitcoin placed along with miniature Buddhist sculptures outdoor on a bright sunny day. Sunlight makes BTC shine more. Physical gold-plated Bitcoin placed on a grungy textured blue draft board. A closeup view of a draft board where physical bitcoin is shining in the low light.